NAIROBI, Kenya, October 23, 2013 (ENS) – Pregnant mothers and young children in the developing world are still exposed to “astonishingly high and dangerous levels of lead” through unsafe paints, finds a study by the UN Environment Programme, released Tuesday during the International Lead Poisoning Prevention Week of Action. The study analyzed enamel decorative paints from nine countries on three continents: Argentina, Azerbaijan, Chile, Cote d’Ivoire, Ethiopia, Ghana, Kyrgyzstan, Tunisia and Uruguay. “In this day and age, it is quite frankly breathtaking that parents painting their child’s nursery a cheerful red, or handing their child a colorful toy may, through no fault of their own, be exposing that child to a pernicious and damaging toxin – lead,” said Nick Nuttall, UNEP’s spokesperson and director of communications. The research was organized by the Global Alliance to Eliminate Lead Paint, a group co-led by UNEP and the World Health Organization. A total of 234 cans of enamel decorative paint were purchased and tested in a lab in the United States, with the assistance of IPEN, a network of 700 nongovernmental organizations from 116 countries working to protect humans and the environment from toxic chemical exposure. Most of the paints tested would not meet regulatory standards established in most industrialized countries, such as the 90 parts per million limit in the United States and Canada. Generally, white paints had the lowest lead content, while red, green and yellow paints had the highest lead levels. The report finds that few nations have established regulatory frameworks, but those that have exhibit lower lead paint levels. Both Chile and Uruguay have national executive decrees that prohibit the production, import, distribution, sale and use of decorative paints with a lead concentration above 600 ppm, and all of the paints tested in these two countries had low total lead concentrations. But in each of the other seven countries studied, two or more of the samples of enamel decorative paints had lead content greater than 10,000 ppm. In four of these countries, at least one of the decorative paints tested had a lead concentration at or above 99,000 ppm. In five of the nine countries, more than half of the decorative paint samples tested had lead content greater than 600 ppm, the regulatory limit in many other countries. Despite the high levels of lead, which is normally added as a pigment and so is most present in bright colors such as yellow and red only 20 out of the sampled paint cans offered information about lead content, the vast majority in Uruguay. The UNEP study and report were overseen and prepared by Dr. Scott Clark, professor emeritus, environmental health, University of Cincinnati, who is IPEN’s public health advisor for lead, and Jack Weinberg, IPEN’s senior policy advisor and coordinator of IPEN’s global lead paint elimination campaign. Lead in paint is a problem because painted surfaces deteriorate with time and disturbance, releasing the lead into household dust and soil outside. Children ingest lead from dusts and soils during normal hand to mouth behavior. Recent World Health Organization guidelines indicate that there is no known acceptable lead exposure level for children, and 99 percent of children affected by high exposure to lead live in low-income and middle-income countries. “Each year, according to World Health Organization figures, childhood lead exposure contributes to an estimated 600,000 new cases of intellectual disabilities,” said Nuttall. Damage to children’s intelligence and mental development occurs even when there are no obvious or clinical signs of lead poisoning, decreasing their performance in school and lifelong productivity at work. An estimated 143,000 deaths a year result from lead poisoning, according to WHO data; lead paint is a major contributor to this death toll. “Lead poisoning remains the number one environmental health concern for children globally, and lead paint is a major flashpoint for children’s potential lead poisoning,” said WHO Director for Public Health and Environment Dr. Maria Neira. “The good news is that exposure to lead paint can be entirely stopped through a range of measures to restrict the production and use of lead paint,” she said. Worldwide, 30 countries have phased out the use of lead paint. The Global Alliance to Eliminate Lead Paint has set a target of 70 countries by 2015. While the UNEP report covers nine countries, previous research by IPEN and others shows that lead levels remain high in other countries with economies in transition. A study in published in September 2012 by the Kenyan NGO iLima found an average lead concentration of 14,900 ppm in 31 samples of household paint. Over the last seven years, similar studies found high average lead concentrations in Cameroon, Egypt, Nigeria, Senegal, South Africa and Tanzania. “In 2002, at the World Summit on Sustainable Development, governments agreed a goal that by 2020 chemicals should be used and produced in ways that lead to the minimization of significant adverse effects on human health and the environment. Action to ban paint with excessive lead will assist towards this 2020 goal,” Nuttall said. National efforts to promote the establishment of legal and regulatory frameworks to control the manufacture, import, export, sale and use of lead paints and products coated with lead paints. 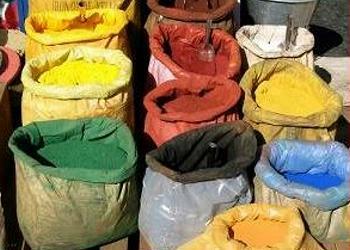 Information campaigns to inform the public about the hazards of lead exposure, especially in children; the presence of lead decorative paints for sale and use on the national market; lead paint as a significant source of childhood lead exposure; and availability of technically superior and safer alternatives. Paint manufacturers are encouraged to eliminate lead compounds from their paint formulations, and participate in programs that provide third party certification that no lead has been added to their paint. They are encouraged to label products to help consumers identify paints free of added lead. “While this study shows many nations face a grave problem, it always very clearly demonstrates that established and enforced government regulations on lead levels in paint have a strong positive impact,” said Sara Brosche, project manager for IPEN’s lead paint projects.